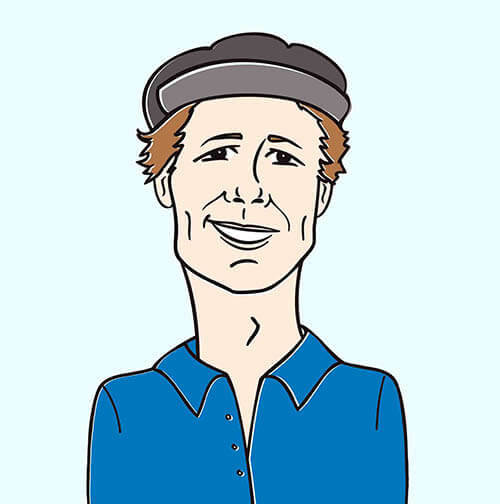 Hello programming friends, it’s Andy Gesner and the HIP Video Promo staff bringing you a new video with a contemporary theme, from an artist you won’t soon forget! Some artists strain hard to acquire and international following. Others are naturals at communication, and entertain and inspire wherever they go. GLEN-A.M. has kept crowds cheering on both sides of the Pacific for years, playing basketball at an elite level all over the world. The 6’9″ forward with the silver tongue starred at Pepperdine University, and graced the hard courts of Puerto Rico, too. Lately, he’s taken the KBL — that’s the Korean Basketball League — by storm, showing off his skills to a hoops-hungry country. But even if he wasn’t a superb baller, chances are, GLEN-A.M. would have won himself a following in Asia. They love hip-hop on the Pacific Rim, and the budding star is as smooth on the mic as he is on the court. Make no mistake, he’s gotten to this point as much by natural talent as by hard work. The A.M. nickname comes from his ingrained reputation amongst friends as a man who goes to bed very late and wakes up very early. It also represents his two core skills, athletics and musician. Furthermore A.M. really are the initials of his first and last name. It’s all too natural, just like his knack for pumping out stellar hip-hop music. That’s demonstrated in “1 Click Away,” GLEN-A.M.’s debut video. The clip introduces GLEN-A.M. as a deep-voiced emcee with a conversational style, a confident delivery, a sure hand with a metaphor, and a welcoming smile. He trades lines with R&B singer Kay Cola, who spikes the track with a glittering hook. The production, too, is tight: a slamming beat, sound effects in the verses, and sweeping synthesizer pads for the chorus. 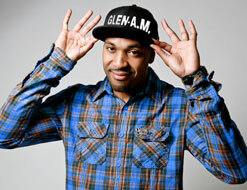 It’s the sort of playful hip-hop recording that could be a hit anywhere from Glen’s hometown of Los Angeles to his current place of residence in South Korea. As you might imagine, living the life of a traveling basketball star puts a strain on relationships. But anybody who has ever tried to keep a long-distance flame ablaze will identify with “1 Click Away,” a heartfelt entreaty to girlfriend far from him. But Glen has the Internet at his fingertips, and he’s not afraid to use it however he can: Facebook, video, e-mail, whatever he can click on. As long as he remembers his password, he’s got a connection with his girl. It’s a charming song, but it’s also a metaphor for GLEN-A.M.’s career, and the network of fans he’s built all over the world, and kept in touch with through social media. He understands the degree to which the music biz is now driven by those networks, and he’s poised to reap the benefits of his engagement with the Internet. It helps that he looks the part of a famous emcee. Athletic and handsome, GLEN-A.M. commands the camera with ease (his collaborator Kay Cola is an eyeful, too). Those who’ve seen him live can testify to his charisma, and those who heard him on record can feel his swagger. And although he’s already tasted success on a global scale, everything about Glen is genuine. In his photos, he poses with a basketball in one hand and a microphone in the other. We’ve all seen how well he controls the rock. Press play and learn how deftly he handles the mic. We’re very excited to be working in tandem with GLEN-A.M. to bring you this sign of the times new video. We are here to hook you up with all things GLEN-A.M. so please don’t hesitate to be in touch if we can do anything to help get this video on your radar! If you would like more info on GLEN-A.M., call Andy Gesner at 732-613-1779 or e-mail us at info@HIPVideoPromo.com . You can also visit www.# or www.Twitter.com/GLEN_AM to find out more about GLEN-A.M.